It’s been a quickly-moving summer, hasn’t it? They say living is easy in the summer, but for me, it’s been busy and hectic! So what does that mean for my progress on my goals? Well, even though it’s been a crazy month, I’ve made some great progress on my goals! That’s right! I’m less than halfway now! It’s all downhill from here! I’ve decided that my goal updates don’t really show where I’ve come from and I want to make sure that I can look back and see what progress was made when and how much big payments vs. interest makes a difference in my plans. So, from here on in, I’m going to show where I started, what I’ve done this month, and how much farther I have to go to become 100% debt free! So goal #1 this month, as always, was to pay as much as possible towards my student loans. This month I had a lofty goal to pay off the last of my smallest student loans and just have the two doosies and the mortgage left to tackle! And….. I DID IT!!!!! Yay!!!! It was the last day of the month and it will be very tight until the next paycheck, but It. Is. Gone!!!! 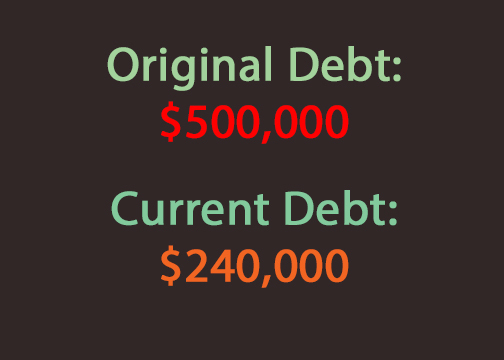 So, with $6000 less dollars left in my debt, that leaves me $120k in student loans and $120k mortgage left to pay. We’re in a pretty great position with those numbers! My goal for next month will be to look at the individual mini loans within these huge loans and pay off the ones with the highest interest first. This is different than my previous way of paying them off: pay the loans off from smallest to largest to get them out of here. Now that the loans I have left are so massive, and they all have various rates of interest, it is more practical to pay off the higher interest loans within the consolidated loans. That way, I’m saving more money in the long run. So the plan for the long term will be to pay my regular monthly payment ($1000) plus to pay off each of the mini loans as I’m able from highest interest to lowest at a rate of about $6000 per month. This goal is always the hardest to maintain. I decided I needed a plan in place to be able to gain some motivation without having to keep track of every little thing. I had been hearing a lot of success stories with people using the 21-day fix program. I looked into it and it seemed like a doable plan. But, the part I didn’t care for as a frugal blogger was the price tag: $70 for some portion-controlled tupperware and a few workout DVDs! So, what’s a girl to do in this situation? Take it to Pinterest and try to find some hacks to help follow the plan without spending the dough! So, plan in hand, I bought a set of bowls that are the same size as the containers. They’re also glass so should last longer and be more durable. Find them here. I already have plenty of workout DVDs that were sitting collecting dust and I know work well for weight loss (if you use them!) so I’m dusting them off and getting going again! I didn’t realize how horribly out of shape I am, so I’m trying to take it slowly and just start with working out 3 times per week instead of every day as the program advises. This will keep me from getting burnt out. So my goal for the upcoming month will be to do a full 21-day fix, and workout at least 3 times weekly. Hopefully I will see some significant results so that when I do another round, I can increase the workouts to daily and really get in shape before we go on a camping vacation in a couple of months! Stay tuned for an in-detail post about how exactly I’m doing the program and what my meals look like! I’ve been doing better with this goal. I want to work on writing 3 times per week to make sure you guys know I’m still out here! I’m trying to write a bit ahead so that when life gets in the way, you still get all of the great content you deserve. I’ve also been accepting guest posts to help add to the volume of posts and gain new perspectives. So this goal will continue through August and I will make it a priority to make sure all of you wonderful readers are satisfied! As always, if there’s any topic you’d like to discuss or see covered, or anything you’d like to see done differently, feel free to comment or drop me a line and I’ll make sure it’s addressed! I appreciate all of your feedback and hope that my journey continues to inspire you to mark your goals complete as well! This entry was posted in Becoming Debt Free. nice update! You have come a long way on your debt! That is fantastic! My monthly update comes out tomorrow! I have been trying to get healthier as well and have been using the C25K app to train myself to run more. It’s free and works well and builds up over 8 weeks. I am at the end of week 4. Keep up on your goals, you are doing well! Gem rest ideas! Thanks, Steve! Good luck with your program; I’d love to get to where I can do a 5k too but I’m working my way up, haha! 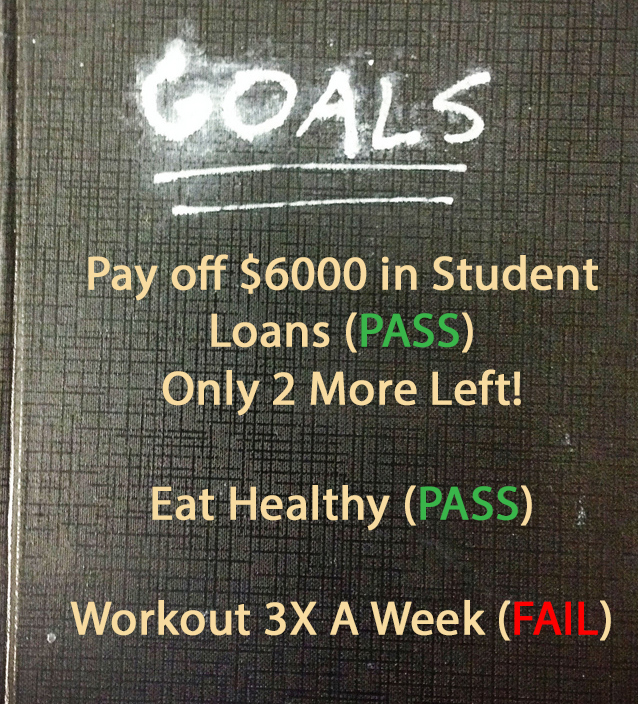 Great job on your goals! Eating healthy, exercising and writing on my blog more are basically my ongoing goals! Holly@ClubThrifty recently posted…Why Would Anyone Spend $50,000 to Shoot Things in Africa? Thanks, Holly! I always enjoy seeing your posts; they help keep me motivated!